Picture this: You’re in a bustling newsroom. The social media team is organizing an engagement project on a major story, working with reporters to find sources online, and informing them of audience feedback. The project isn’t yet finished, but the social team is already an integral part of it. When it’s time to present and promote the piece, they know what to do and which readers to tap into because they were an included in the editorial process. That’s a lovely idea, but in reality, the newsroom is often a lonely place for the social team. 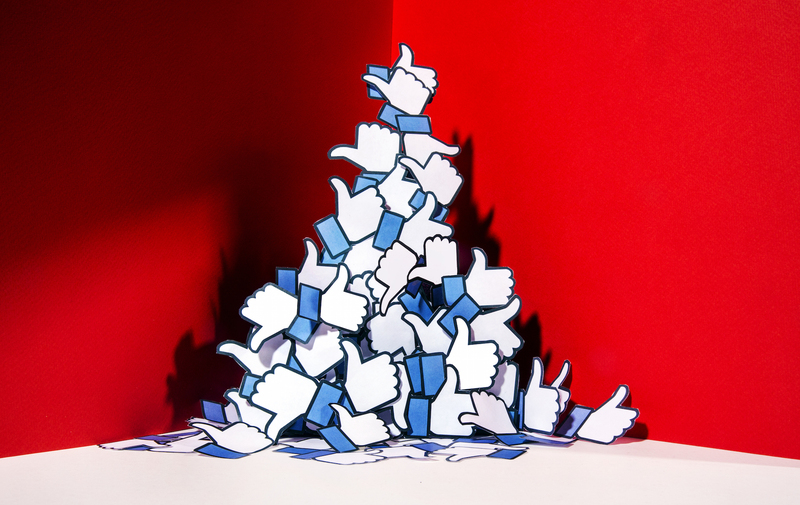 Rather than being fully engaged in the editorial process, social media teams—or possibly just a lone social media editor—are scrambling to publish content on Facebook, churn out copy, and follow analytics moment by moment. Exercising creativity and collaborating with other teams get lost amidst budget cuts, time constraints and the real pressures of the day-to-day newsroom. That’s a problem, because it limits the potential of social media at a time when the news industry needs to focus on experimentation. "A decade after the introduction of Facebook and Twitter, most newsrooms continue not to appreciate the journalistic potential of social media." Below, a breakdown of what needs to change and why, as well as possible fixes. Most social media teams don’t have a point person the way a writer has her editor, or an editor has her CEO. Chances are, the team is leading itself, adapting to the demands of daily news trends and the whims of staff writers, video producers and business managers. An American Press Institute study found that a decade after the introduction of Facebook and Twitter, most newsrooms continue not to appreciate the journalistic potential of social media. This creates a silo around the social team, which often finds itself doing miscellaneous tasks. “The three of us who do social media full-time are also responsible for curating and troubleshooting our mobile app, monitoring the wire, answering phone calls from customers, searching for user-generated content during breaking news and coordinating requests for retweets from [other newsroom] accounts,” one social media team member is quoted as saying in the study. The daily tasks for social teams generally include following social channels, drafting copy for breaking or trending news, and manually scheduling social content. The most common activity for social media team members is “posting links” — but is this a good use of time, especially when there’s little to no time left over for thinking about large-scale engagement or broader strategizing? When social teams are seen as just link-posters or taskmasters, rather than creative, non-traditional journalists, their position in the newsroom becomes mentally and morally isolating. When I worked as a social media producer for Al Jazeera’s AJ+, the team had a good deal of journalism experience. Yet we were only tasked with repetitive, last-minute video uploads and tweet drafting. We sometimes felt that we weren’t considered “real” journalists. But we managed to create some complex, nuanced work, like a Medium series of user-generated personal essays on the question, “Where are you from?” and a Facebook group that documented incidences of hate in the U.S. These projects were accomplished when we carved time out for them, or worked off-hours. Social teams often aren’t brought into the fold on projects until the final stages, when it’s time to promote online — despite the fact that a project may have been weeks or even months in the planning. When I worked as the lone social media person at an education news nonprofit, I often found myself having to remind management to include me in project meetings. Sometimes I’d realize a relevant meeting was going on and would walk in halfway through it. Invite your social media team to join the process earlier. We can help. 1) Management needs to build in time for the team to collaborate with other departments, bounce ideas off others in the newsroom, conceive of big engagement projects, and exercise multimedia skills. 2) The social media team’s workload should include more than manually scheduling content throughout the day. Algorithms often dictate their responsibilities, forcing the social team to think in terms of the number of times content is posted per hour or day, rather than longer-term engagement projects. 3) If newsrooms want to attract exciting, well-rounded candidates who stick around, they should be sure to create a clear path for advancement within social media. As it is, that path is unclear: Do you move into audience development, where you’re working with data strategy and moving away from editorial work? Do you transition into web producing where you hone multimedia and coding skills, but focus less on engagement? There must be a conversation about this. 4) Digital leaders with solid backgrounds in social media are few and far between, so the team is often left guiding itself. This means management needs to be keenly aware of the importance of including the social team in meetings–it will result in a more seamless process from conception to publication. When newsrooms decide to really rethink the social media team’s role in the terms above, they will be tapping into a resource they could have been using all along. Tiffany Lew is a multimedia journalist based in California. Her work has appeared in publications including AJ+, Mic, Scholastic, Fusion, Frommer’s, and The Hechinger Report. She’s a graduate of Columbia Journalism School. Follow her on Twitter.